This would be a cute gift idea for a child on your holiday shopping list! You can get the Peppy Pups Mutt, 8″ for only $12.28! That is a savings of 59% because this toy is normally $29.99! Each Peppy pup has real dog action: interacts, walks and runs with children, just like a real dog. A great way to give your child the company of a loyal companion, without the commitment or responsibility! Make sure that you grab this deal soon on Amazon because the prices can change at anytime! 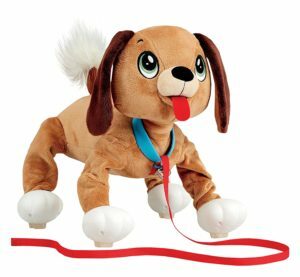 CLICK HERE TO ORDER Peppy Pups Mutt, 8″ for only $12.28 today!